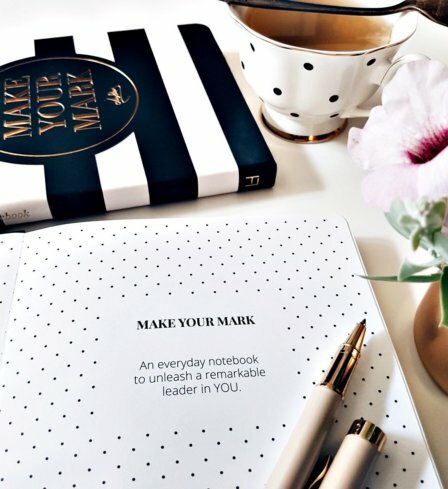 An elegant & inspirational notebook, a daily planner and a self-coaching journal that will help you create daily habits to nurture and empower the leader inside you. 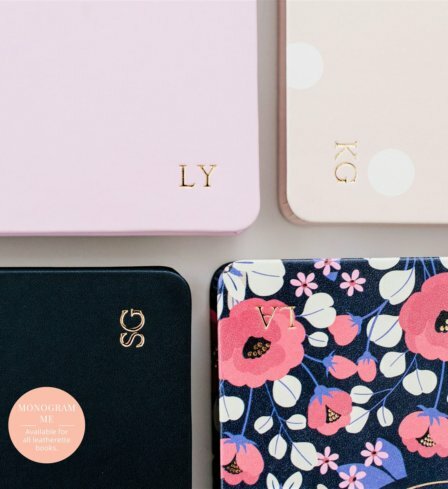 Each product in the set can be also purchased individually. 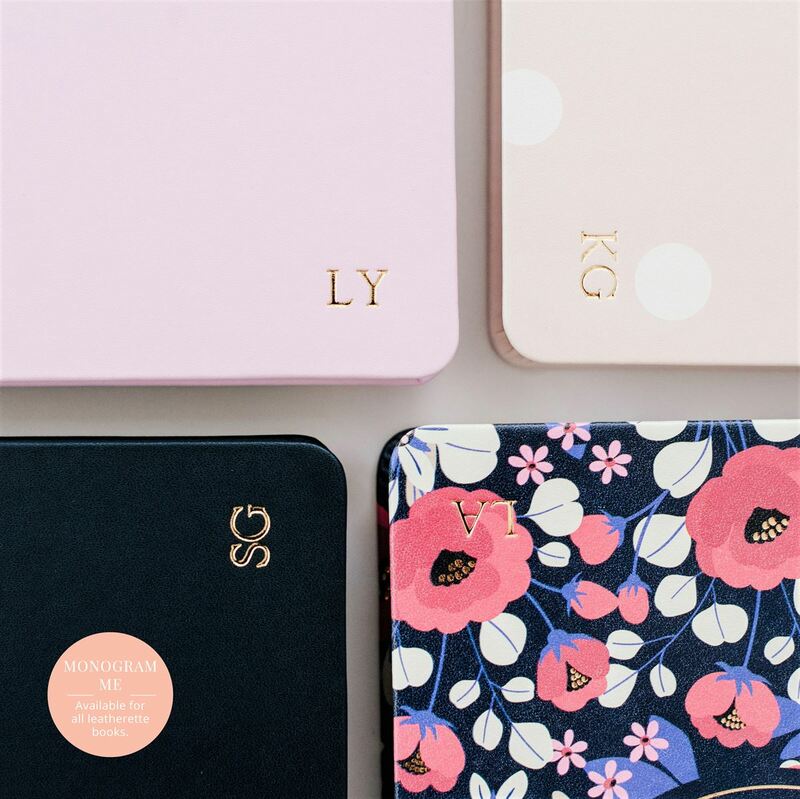 You can select up to three characters to be monogrammed on the cover. Please note all three products will have the same initials. All letters must be capitalised. 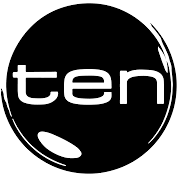 Click through the images on this page to view our monogram font, style, size, and placement. 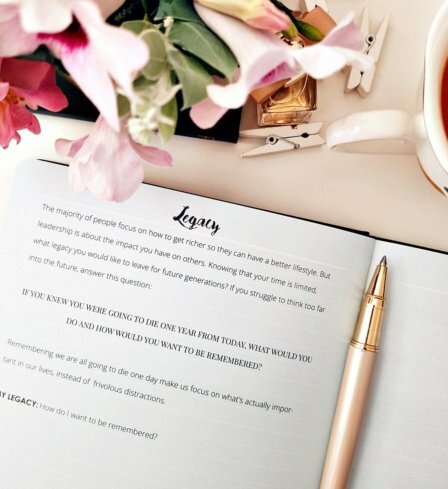 For all other questions regarding this service, refer to our monogramming FAQ. 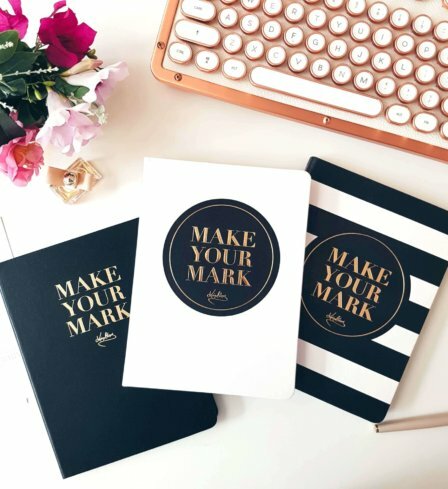 The Make Your Mark collection has been designed and beautifully crafted to encourage and inspire women to follow their passion, to be more creative and innovative in their lives, to feel more confident and determined in their endeavours and to maintain a kind heart while becoming successful. 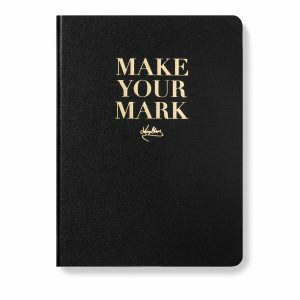 The Make Your Mark notebook, planner and journal provide a daily dose of inspirational thoughts and quotes from leadership experts and successful people in a beautiful, structured and purposeful way. 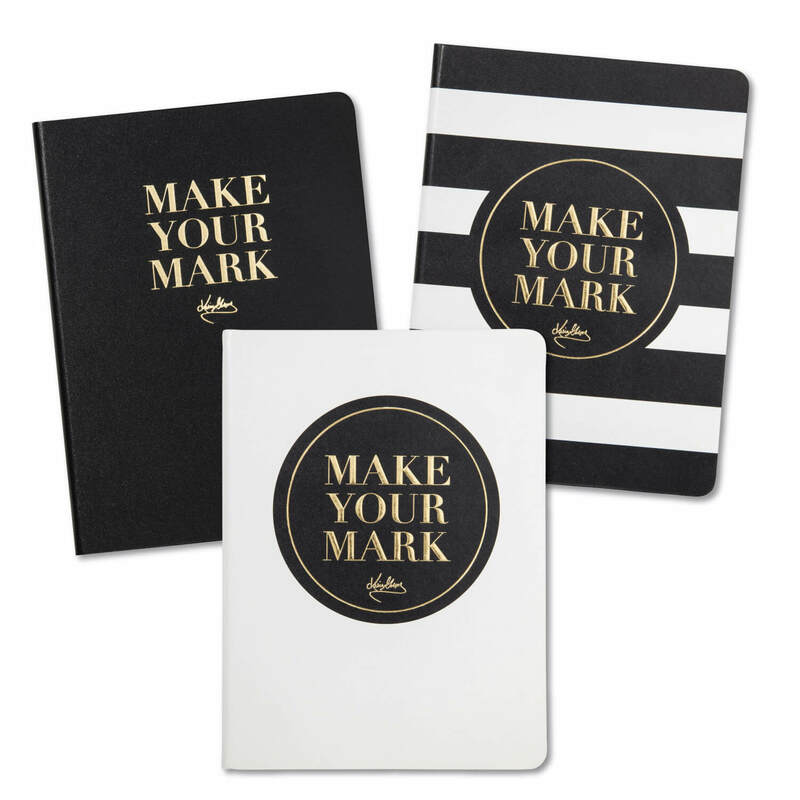 Make Your Mark stationery is your Business, Career and Life Coach rolled into compact, beautifully designed set. 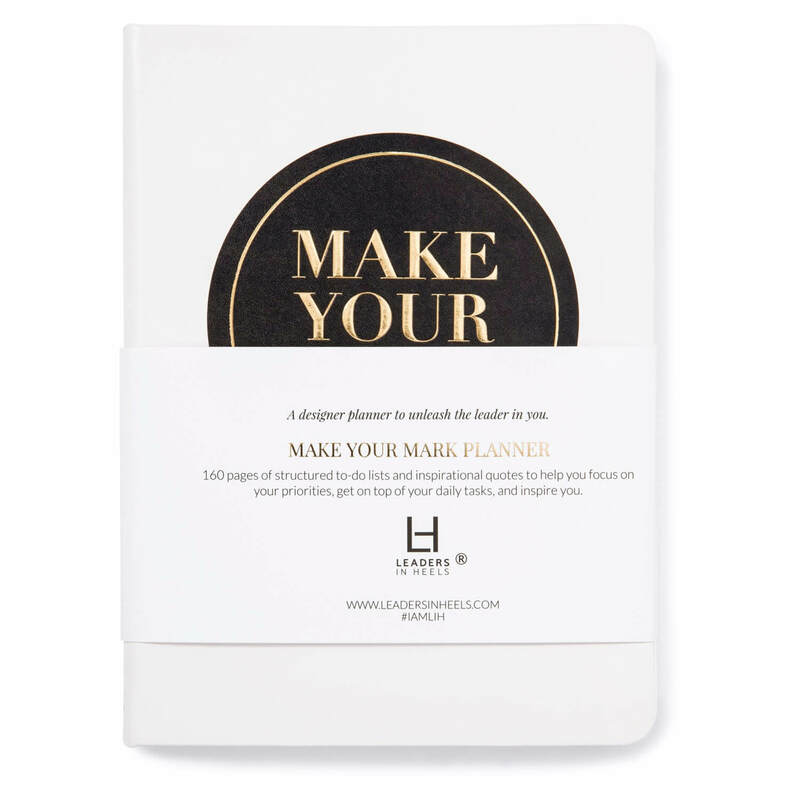 Developed in collaboration with Australian career, life and business coaching experts, the Leaders in Heels notebooks, planners and journals aim to change your thinking habits and influence your behaviours in a gentle but consistent way. 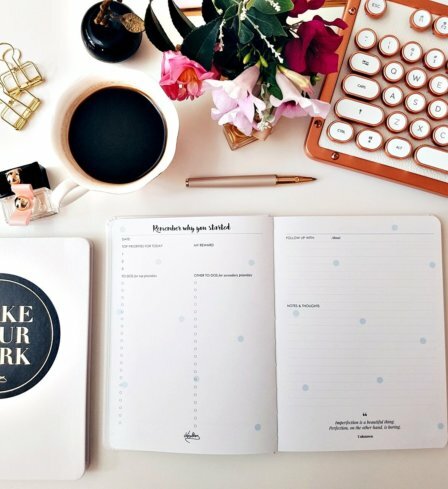 Get out of your comfort zone while working through the assignments. 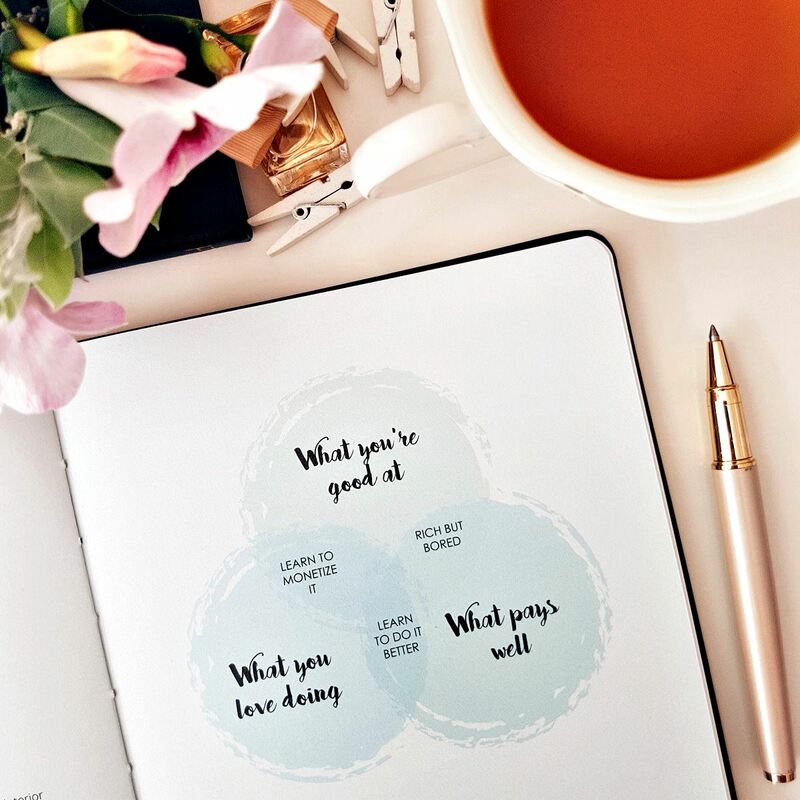 Discover your calling and understand what’s important to you. 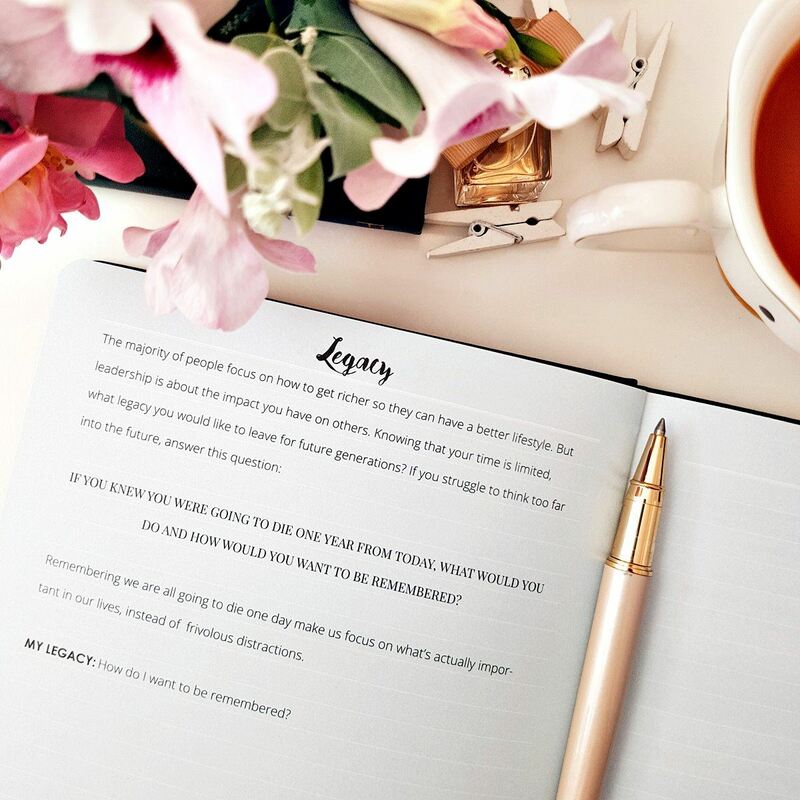 These will guide your decisions and enable you to lead in a consistent way. 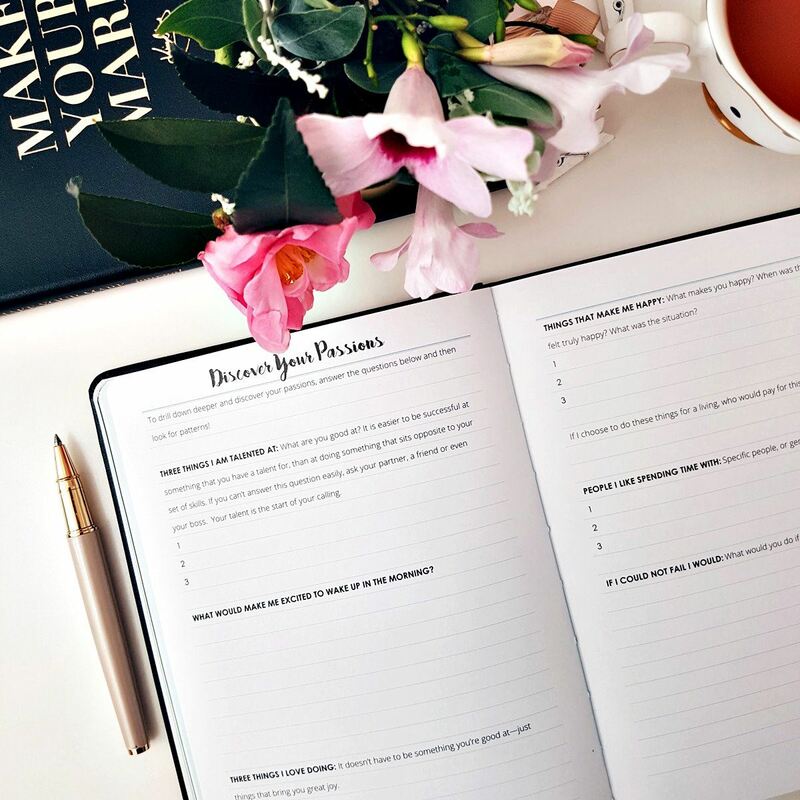 Define your short term and long term plans, stay focused, and keep going for your dreams. 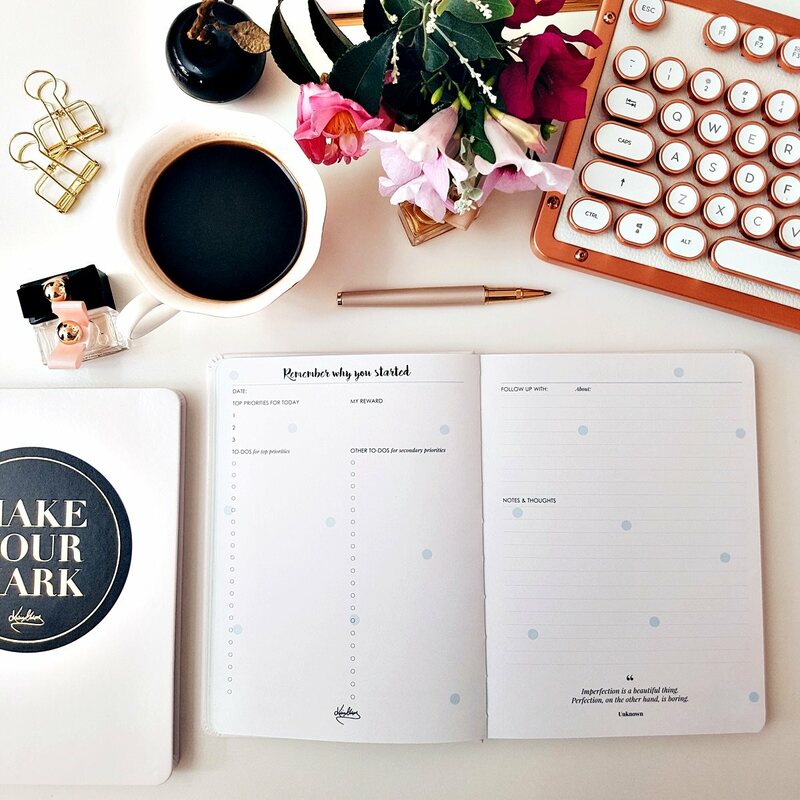 Learn how to take advantage of your key assets. 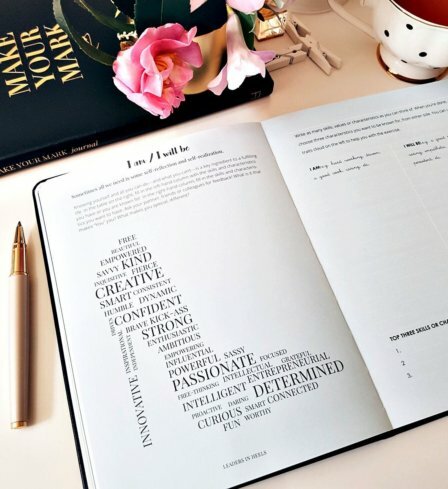 Assignments, quotes and thoughts to boost your self-esteem. 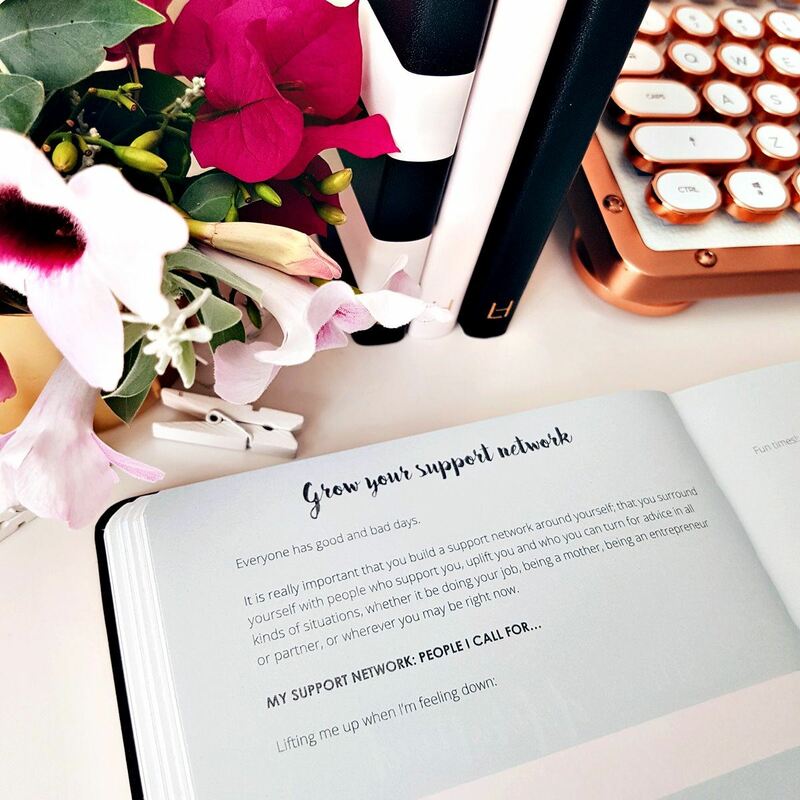 Learn how to take care of yourself and all the people around you. 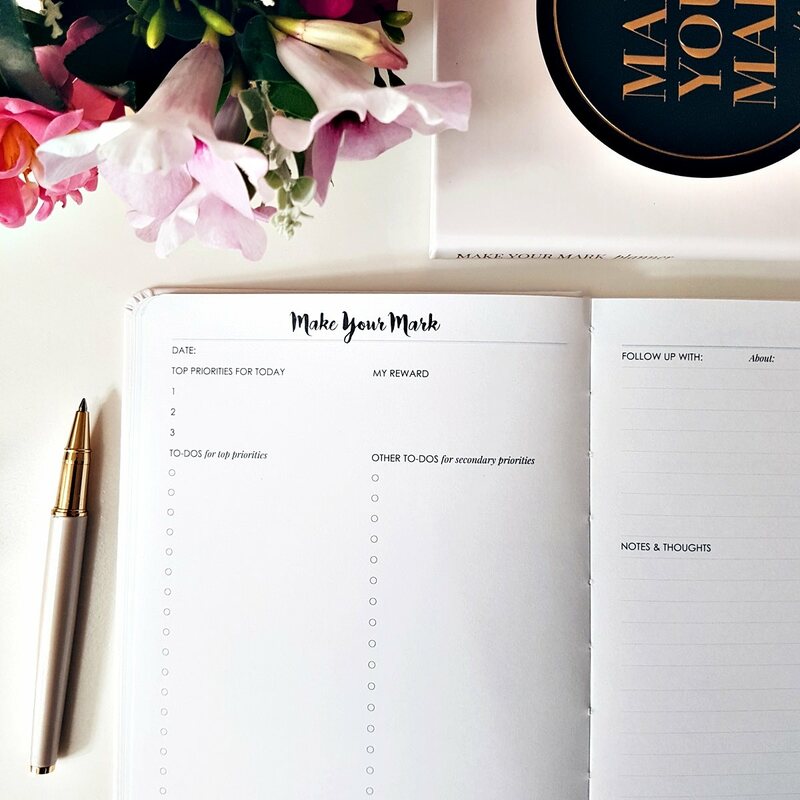 Get your thoughts and tasks down, and get them organised! 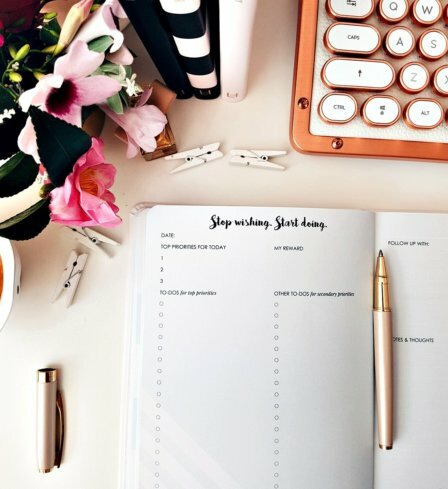 Structured to-do lists that define your top priorities get you on top of your day. 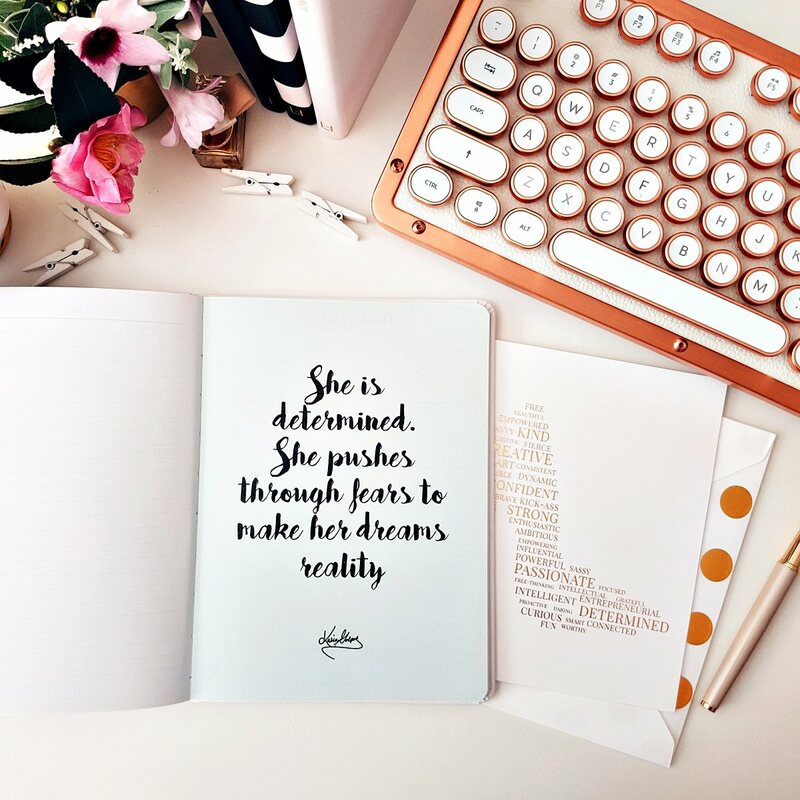 Increase your determination and learn how to be persistent and resilient. 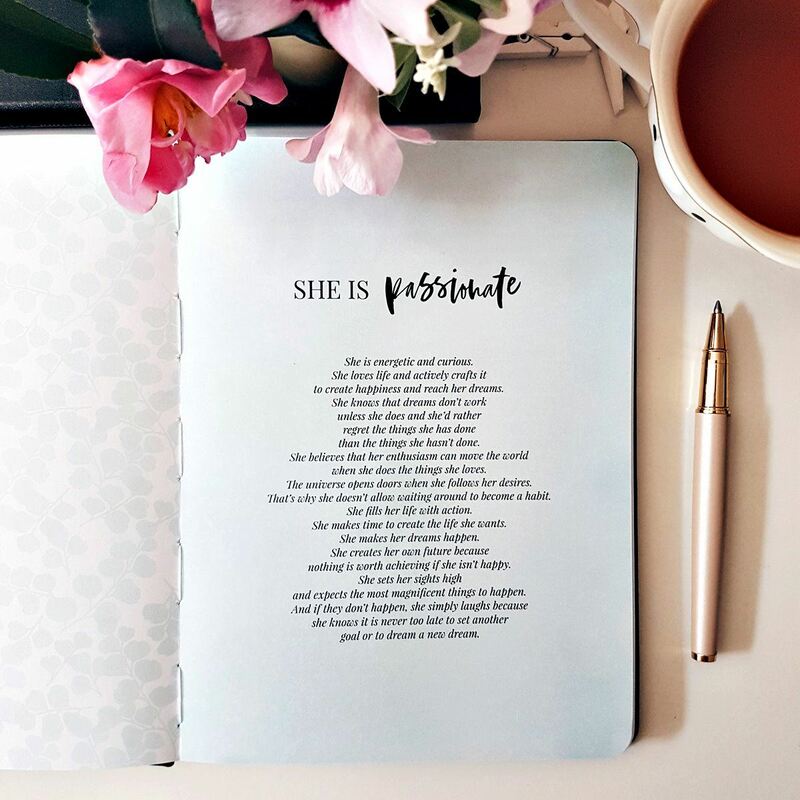 All three products have been inspired by the Leaders in Heels Manifesto, which promotes key traits of female leaders: passion, creativity, innovation, confidence, determination and kindness. 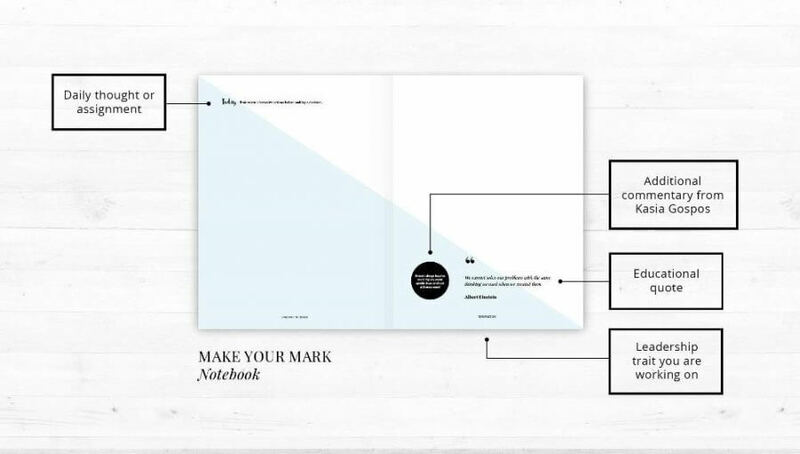 For meetings, boardrooms, and everywhere else. 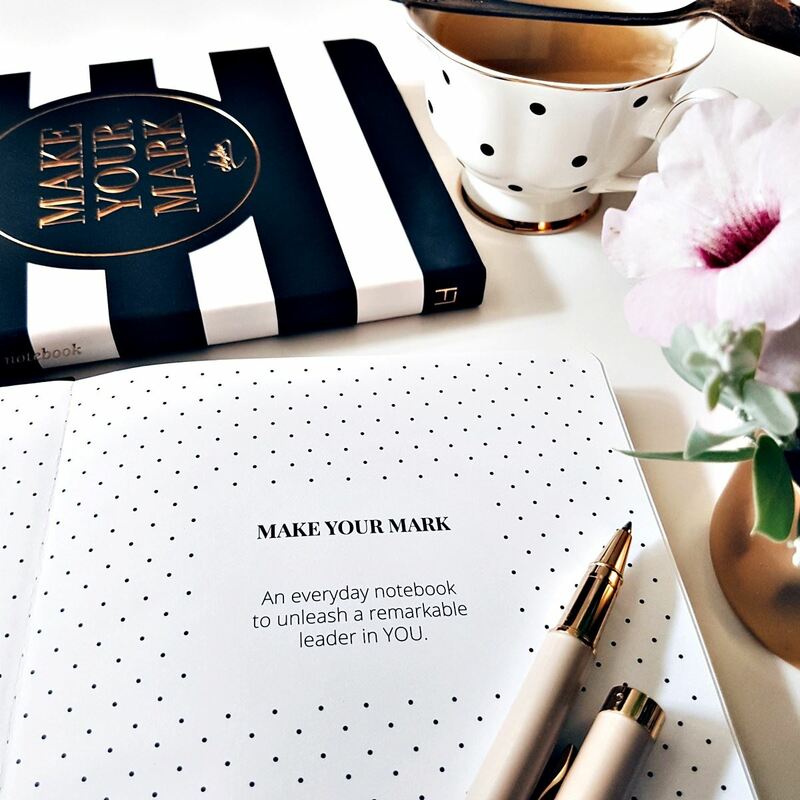 Priorities, To-Dos and quick notes with a stylish touch, right on your desk. 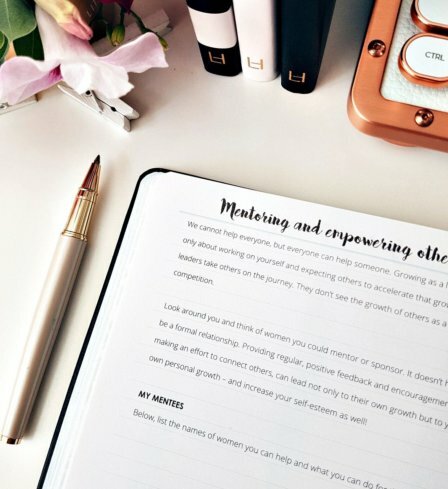 Personal development and journaling at home. 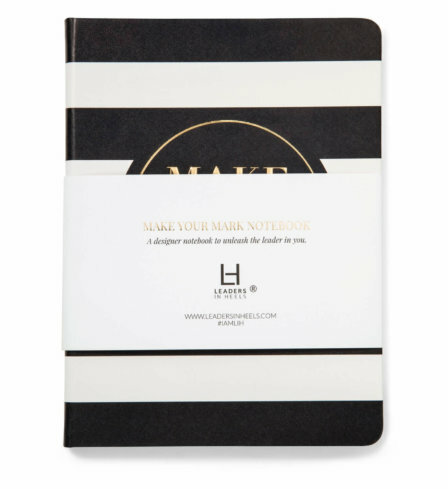 The notebook features an elegant leatherette cover with gold foil. 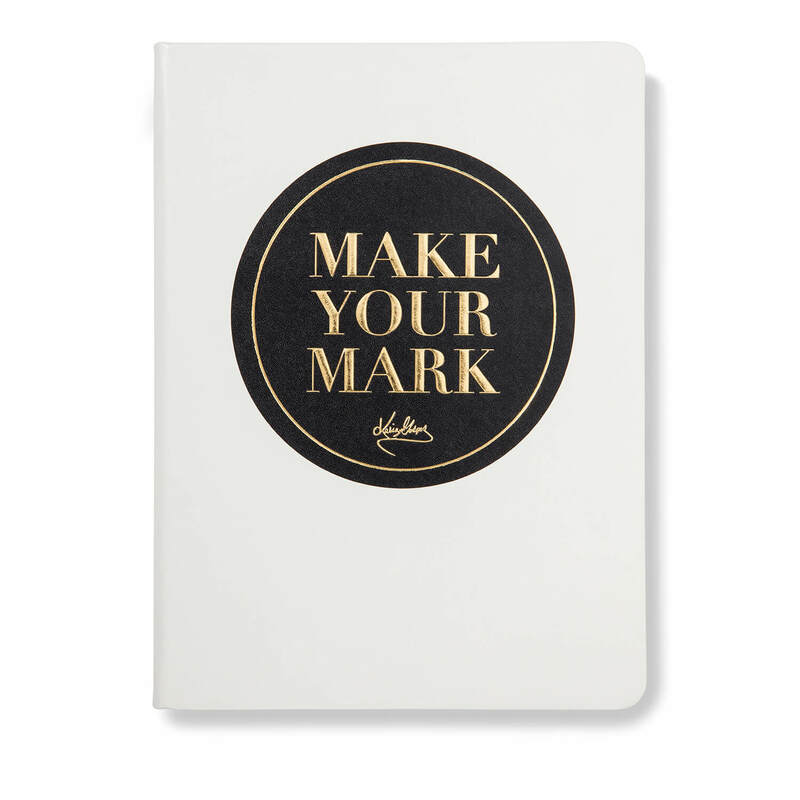 The Make Your Mark set comes with the Leaders in Heels Manifesto card. Lovely quality. 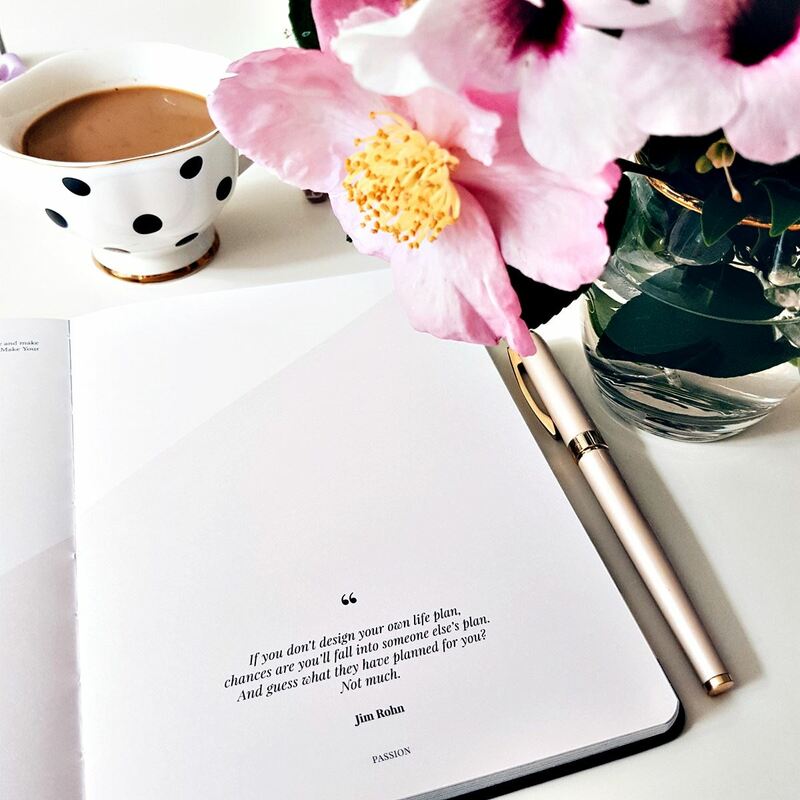 I love how the designs on each page vary, so every page looks new and catches my eye on a different way to keep me engaged. All products are fantastic. 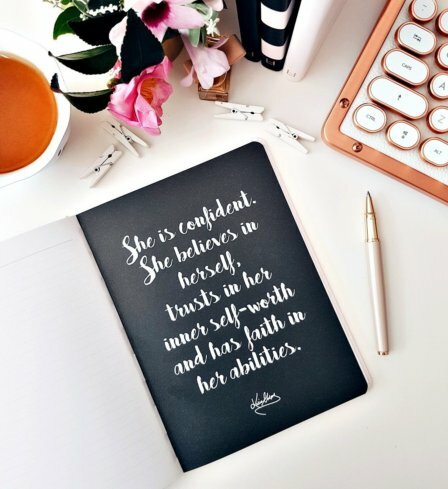 It is refreshing to have products specifically for professional women. 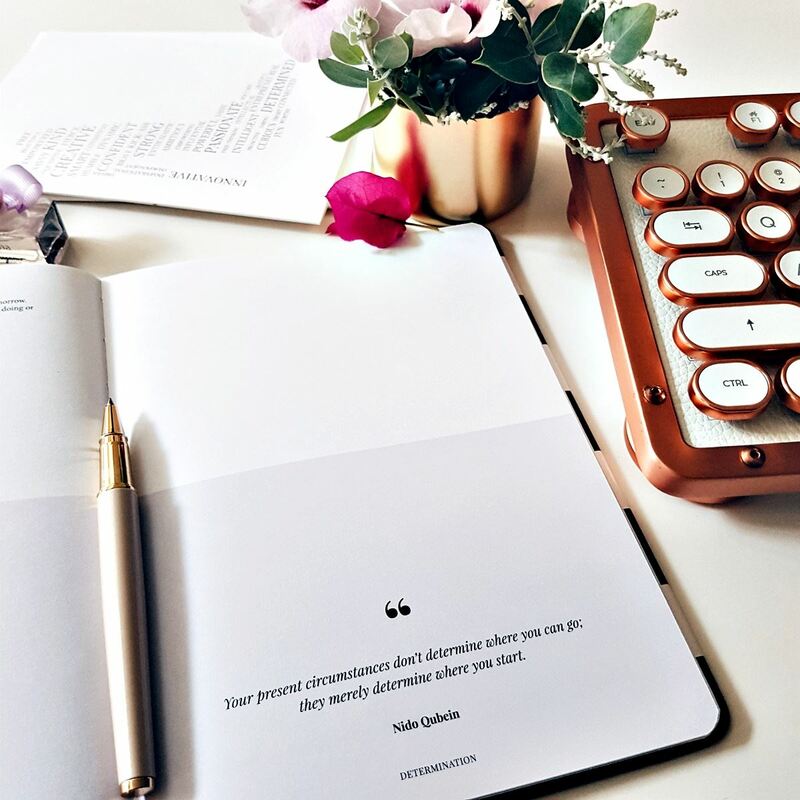 For example, the journal is far more career focussed than my Kikki.k goals journal. 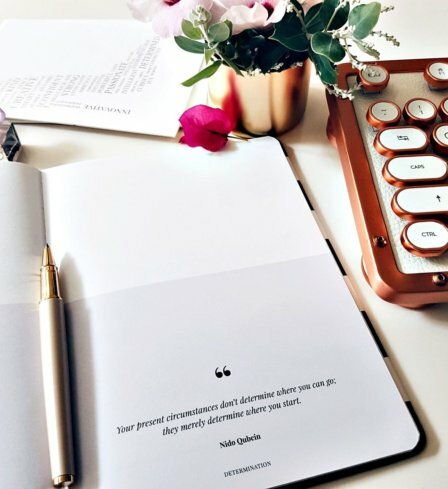 I use the notepad daily to define my priorities and organise (one of my goals). I bought the set for myself and ended up giving each book away to a friend. 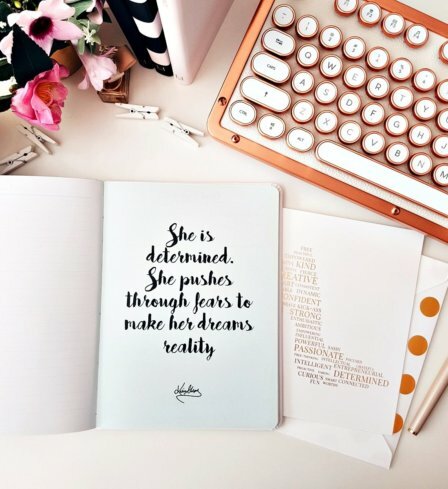 One of my friends is going through a big change and sends me pictures of quotes throughout the notebook as they apply to her life. 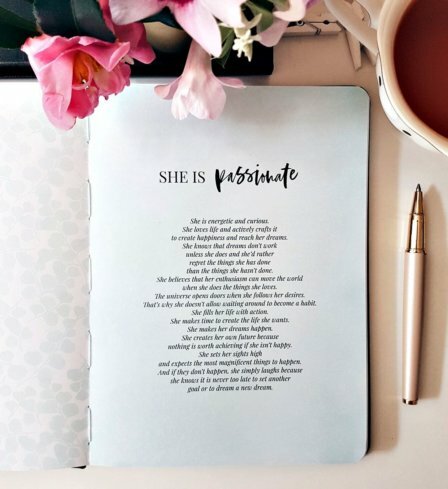 It has given me a way to support her through the change and provide her with daily inspiration. These books have been the ideal gifts. The set exceeded my expectations. The attention to detail on the packaging was divine and the quality of worksmanship (no offence!) were much better than anticipated – well done! 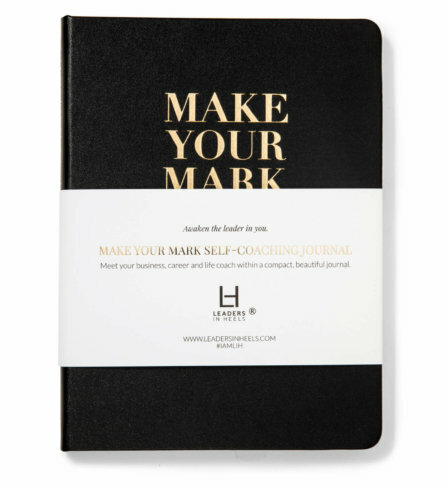 I have been using the Make your Mark journal for over 2 years with my female coaching clients, and they love it! 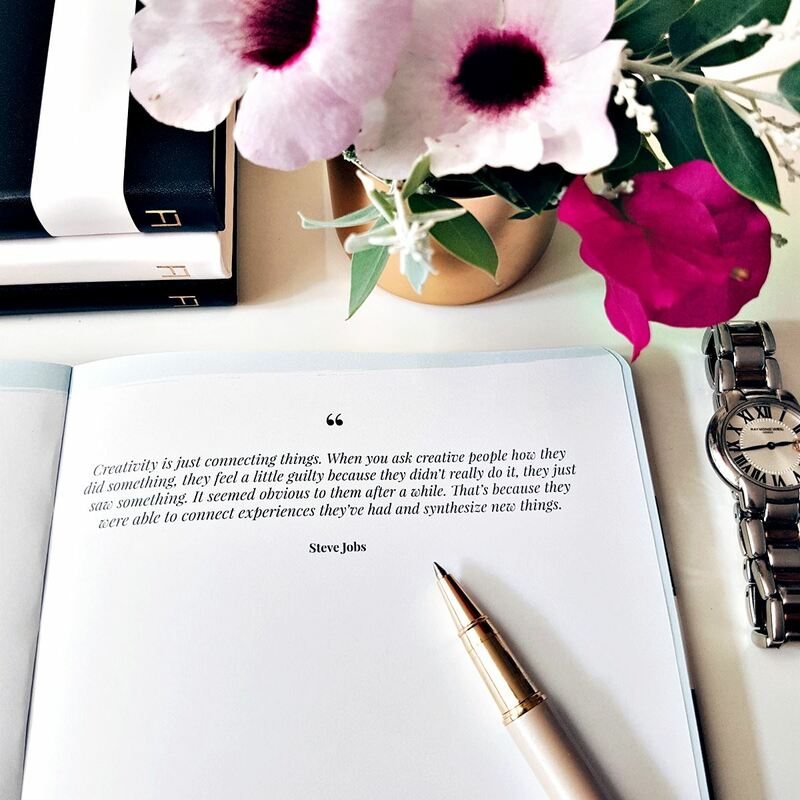 The new look journal is being really well received and valued by my clients. The Make Your Mark set is fantastic. 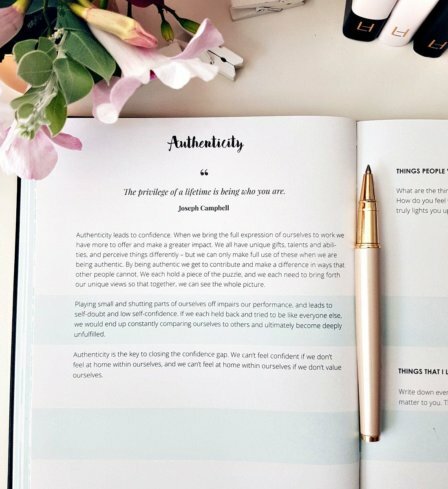 I love everything that Leaders in Heels is doing, and the notebook is full of wonderful, inspirational quotes and prompts to help people like me who aren’t natural journalers get into that habit and mindset. Thank you! 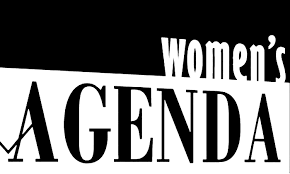 Thank you for creating such fantastic products for women both in and aspiring to leadership roles. 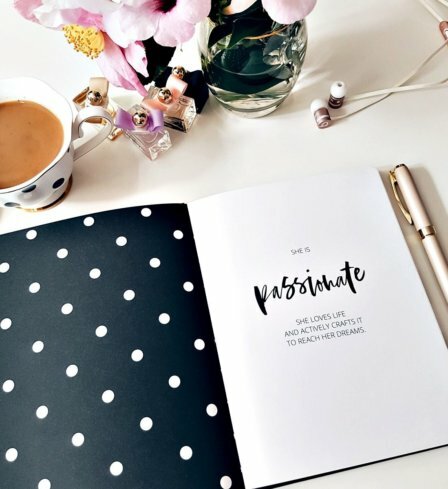 Both useful and beautiful, they have helped me focus on what is important both to me and in my job. I’m in the UK and I left it late to order the Make Your Mark set for Christmas. 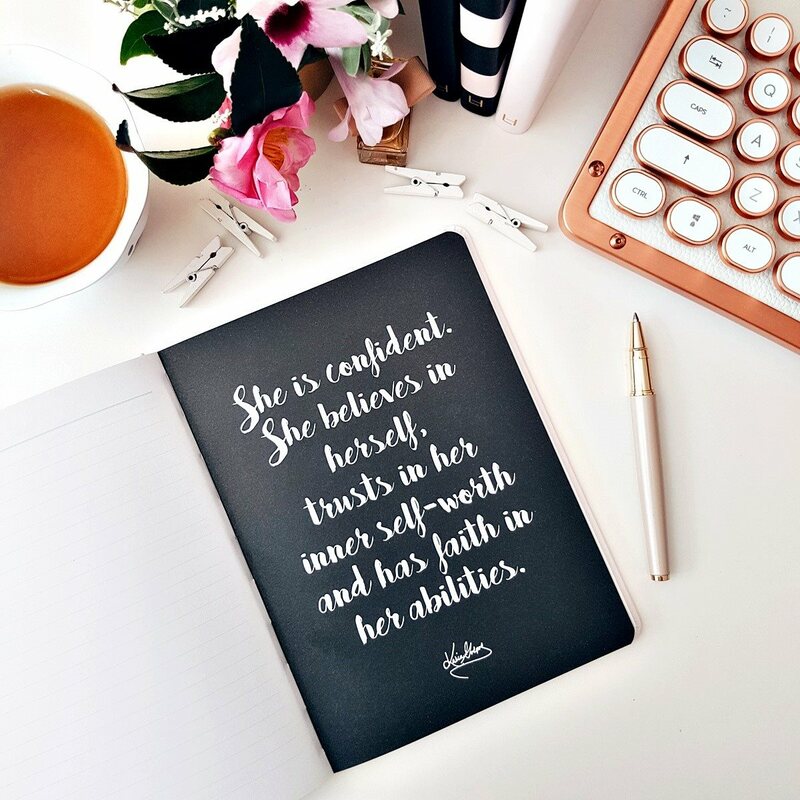 I contacted Leaders in Heels HQ and the customer service was fantastic – I received my parcel just 7 days later, well in time for Christmas. 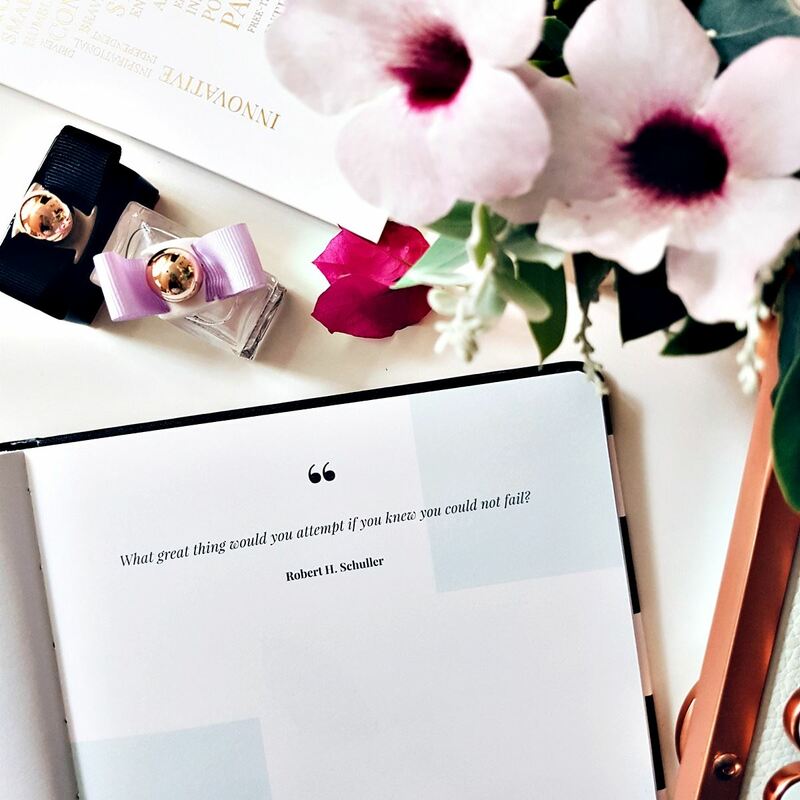 Great service, great product and great Christmas presents for ambitious and wonderful women. Thank you for the great Christmas present. 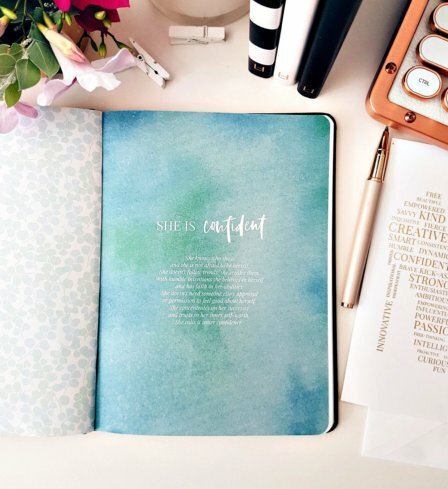 The set of three books were beautifully packaged, arrived within the week and are a great tool for reflection and inspiration. Thank you. I bought two sets – one for my business partner as a Christmas gift, and one for me. I thought this was an ideal way to kick off the new year to make sure we are both agreeing on the direction of our business. 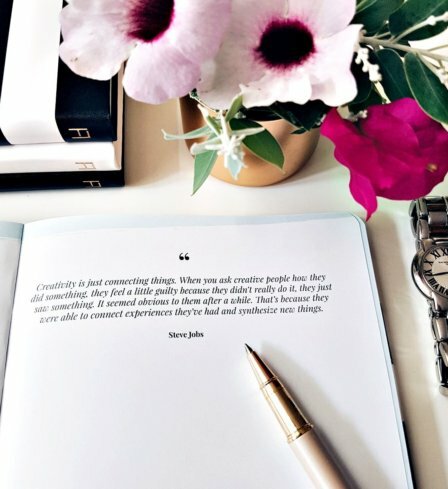 We’ll use these books together to motivate us, to initiate discussions, create ideas… and succeed! Thank you , a truly good system. 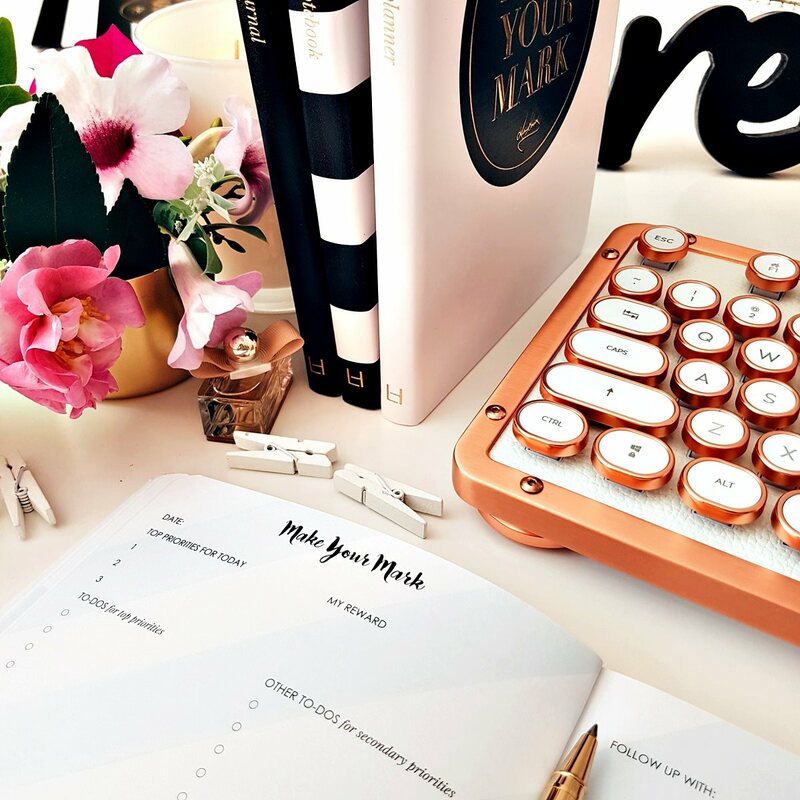 MYM has helped me find my passion again and the daily tasks keep me focused on achieving my dream. 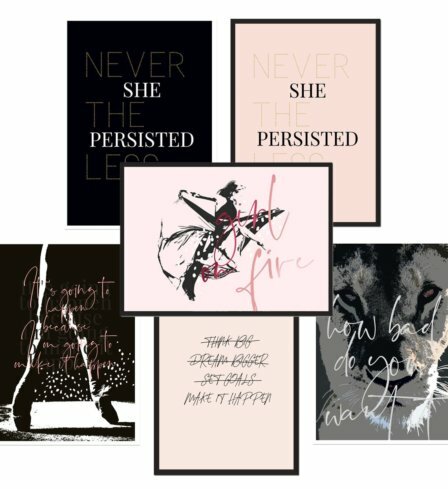 Love my Leaders in Heels stationary. 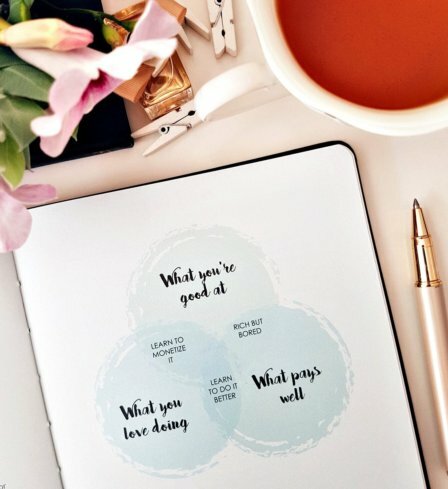 So Inspiring and helping me focus on priorities. 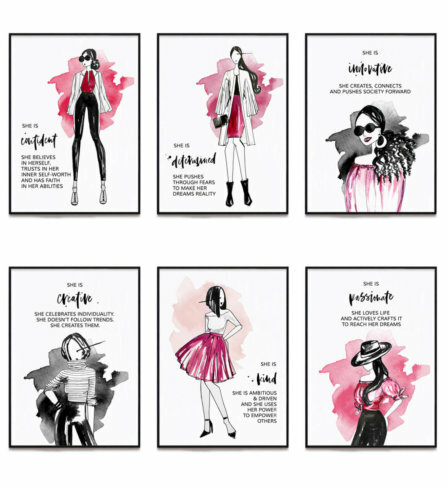 Cool, chic and great gifts for girlfriends. 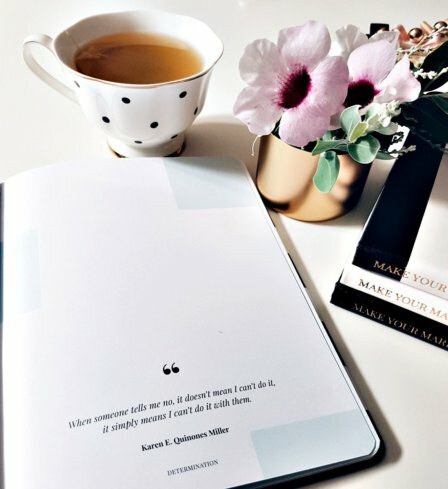 This is an amazing product, it makes us stop and think and take time out for yourself. We are all too busy with so much noise around. 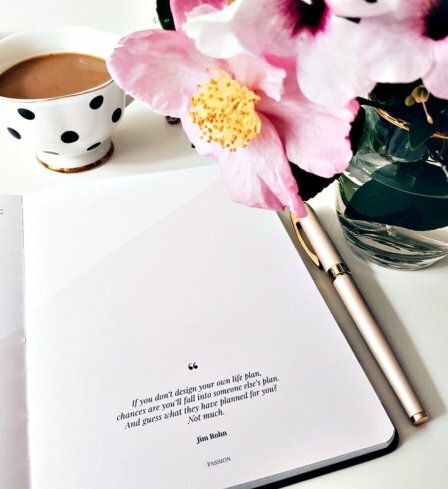 There is something so tranquil about sitting down, writing, thinking and planning. Sometimes someone you respect takes time out to give you a gift that has a little more meaning than others. 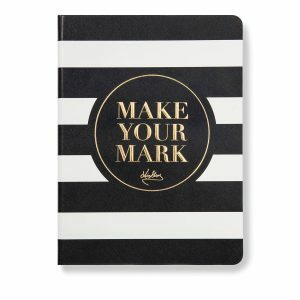 The gift of the “make your mark” book for me made me sit down and think about how to work smarter and how to look after me first. 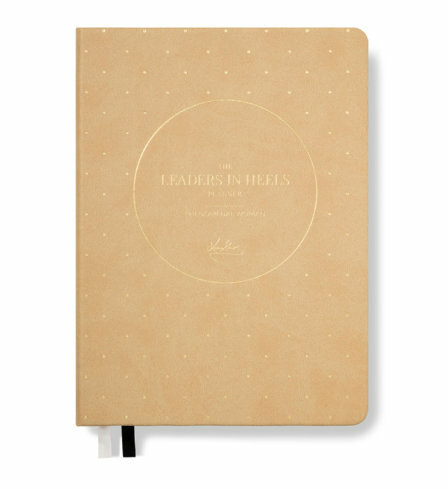 The Leaders in Heels Notebook Set has helped me to re-evaluate & reinspire. 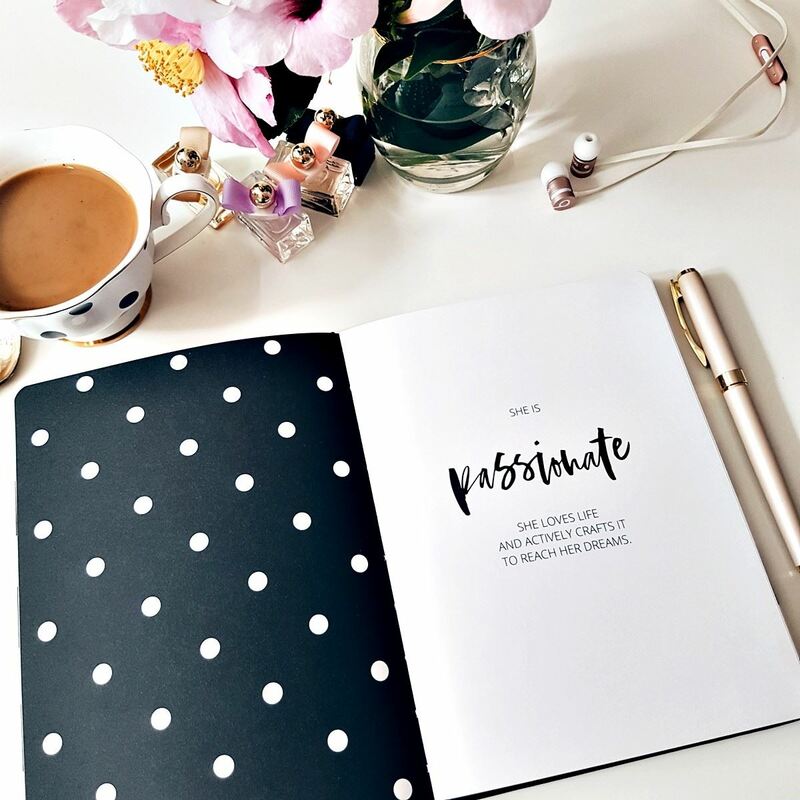 I was lacking motivation & needed a product that would help me to look at life in a different light. 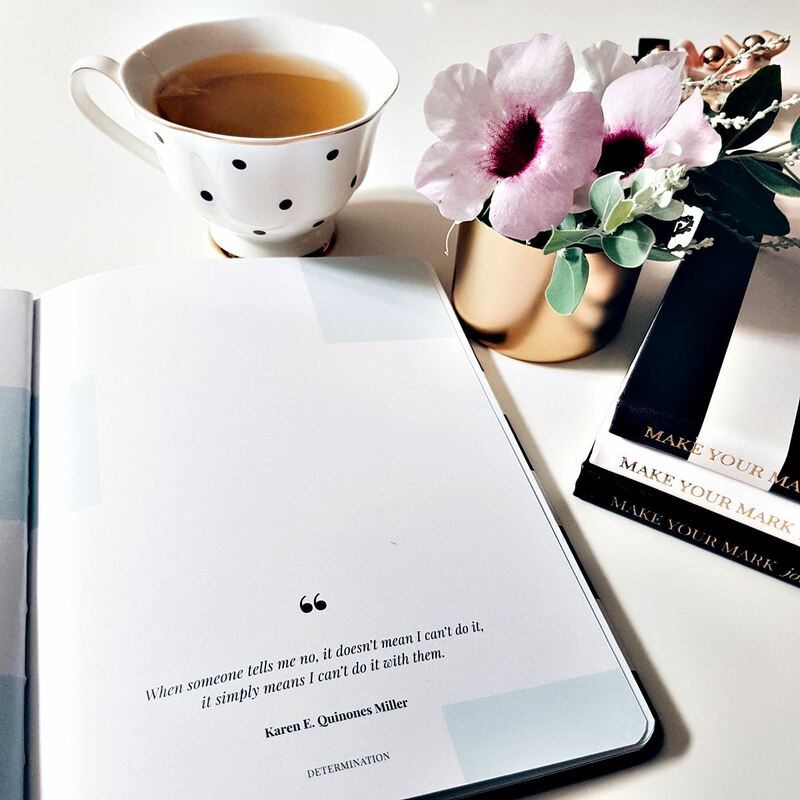 I now really look forward to my “me time” spent with the products each day & focusing on what I want to get out of life, as well as how I will achieve those goals! Thank You. 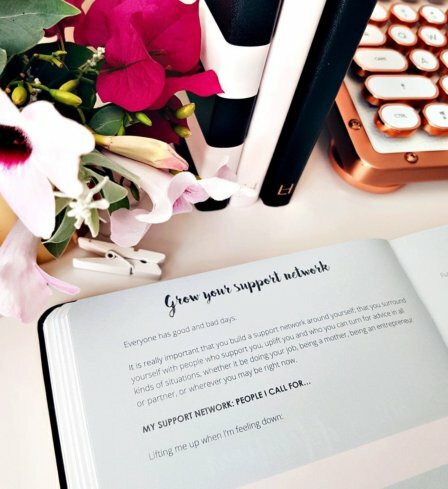 Such a thoughtful range of products that help us be better at what we do. 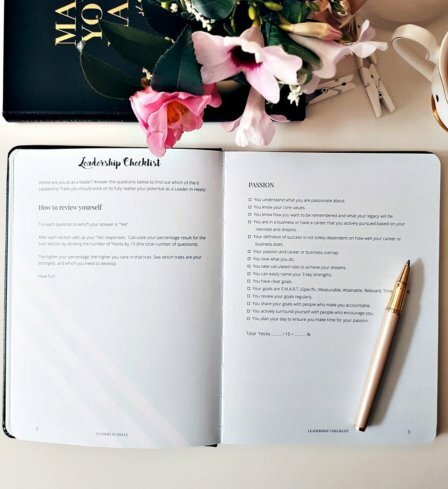 After recently completing a regional leadership course over the period of 10 months, I was so pleased to find your products as they align so well with setting goals, time to reflect, opportunity to focus and give you that lift during the day when you read the quotes and the manifesto. Not everyone around you wants to be step to be leaders so it’s great to have somethings that makes you proud to making a mark in your life. I work in the print industry and I thought they were beautifully presented. 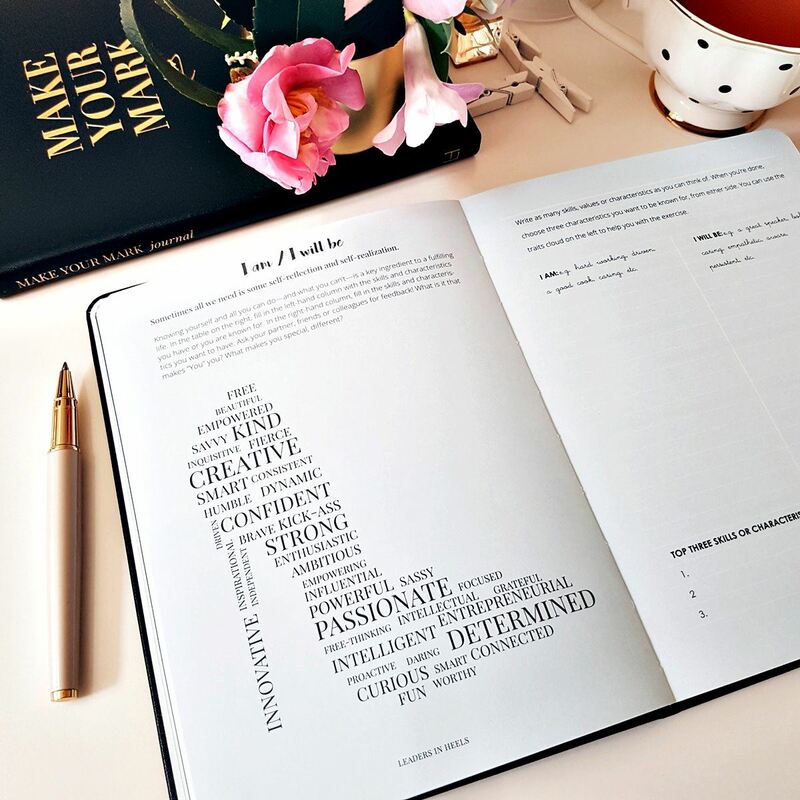 The content is fantastic and will be a wonderful tool for me to use in my everyday life to keep me inspired. Well done Kasia. These items were purchased as gifts – which have been extremely well received. I was very impressed overall with the quality/presentation & the care that had obviously been taken with the packaging. 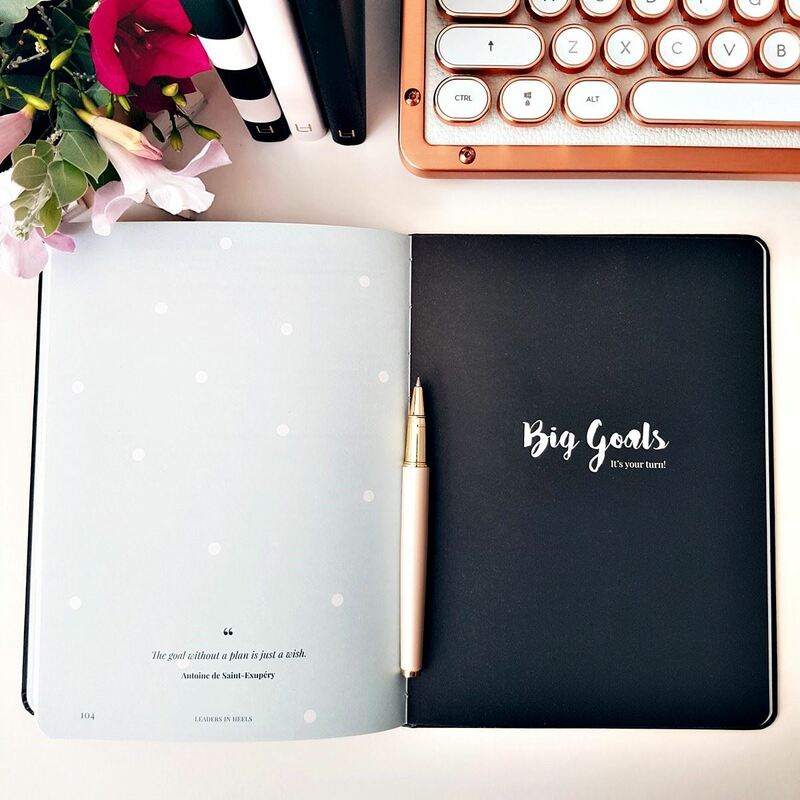 A great product that has kick started my 2018 in a positive way helping to formalise my rambling thoughts!! I loved the whole set and have started to use it. 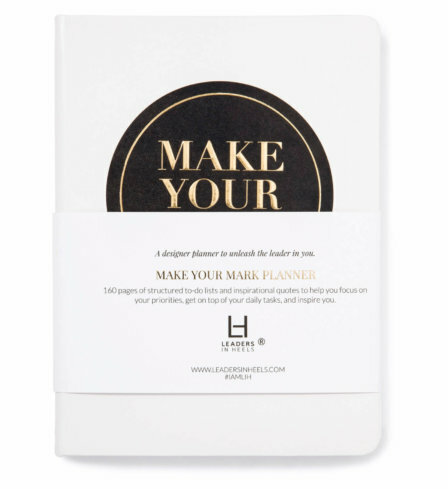 The only thing I was hoping for was the daily planner to be dated for the year. 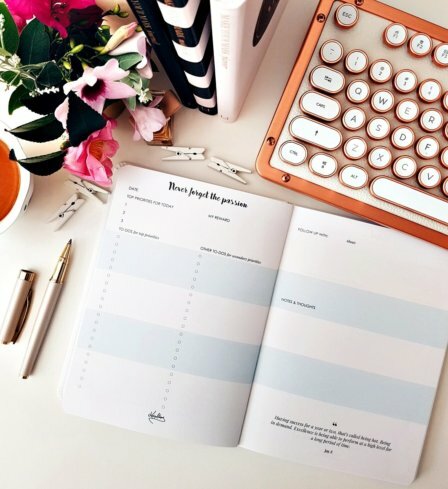 I needed a diary too! Beautiful books and lovely to use. Still challenging myself daily to use consistently to get the most out of it. 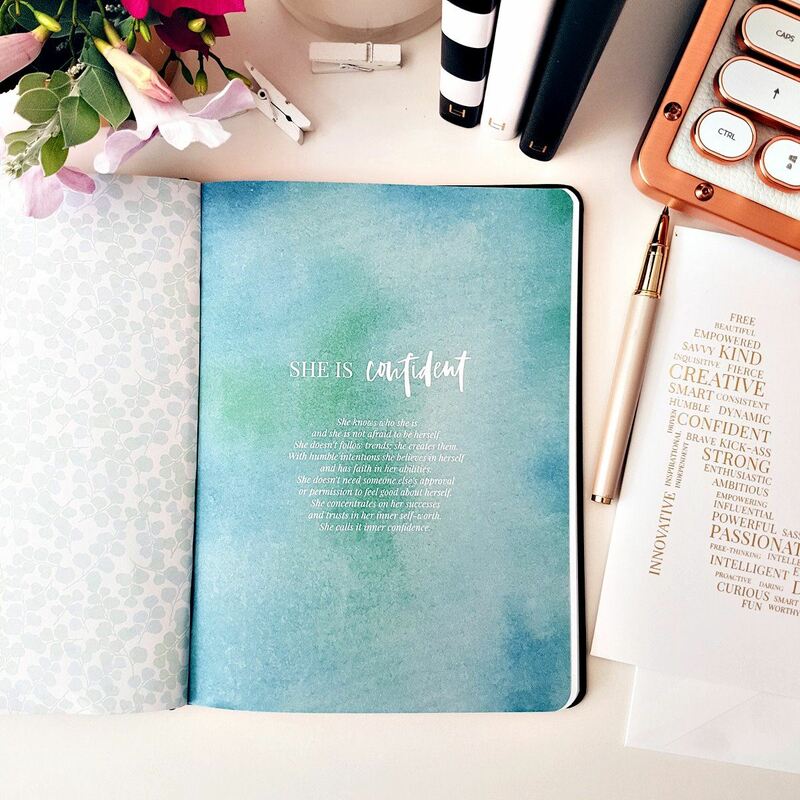 What a great set of products to inspire and facilitate positive change in any area of life! 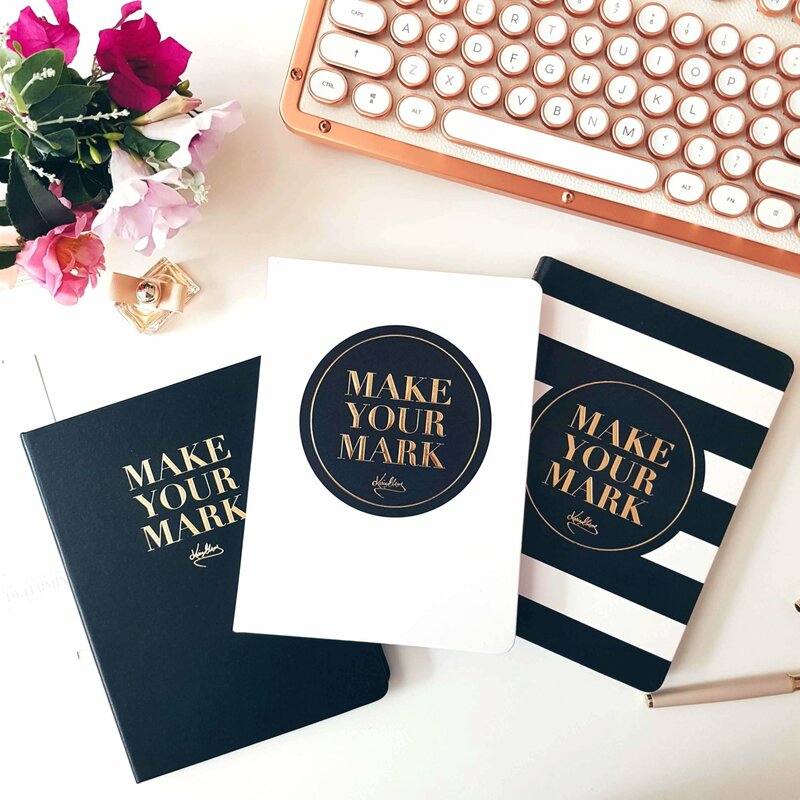 I’m always looking out for great motivation tools for women and the Make you Mark set has helped with my confidence and as well as helped with tools to focus on my true purpose. Fabulously created set of tools. Thank you! Incredible! 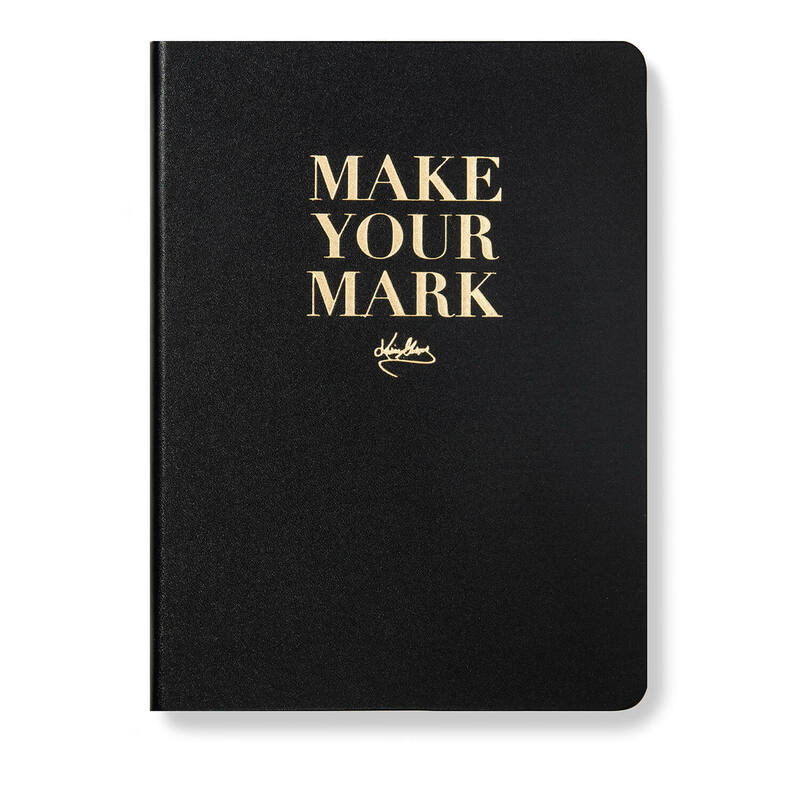 I have spent the past few weeks working through the ‘Make your Mark’ journal as I felt this was the best starting place for me. Wow! I thought I knew the answers to most of these questions but the way in which it’s presented is making me think of things in a completely different way. Thought provoking and emotional, I can feel that this process is going to be life changing. The quality feels great and I love the feminine touches. 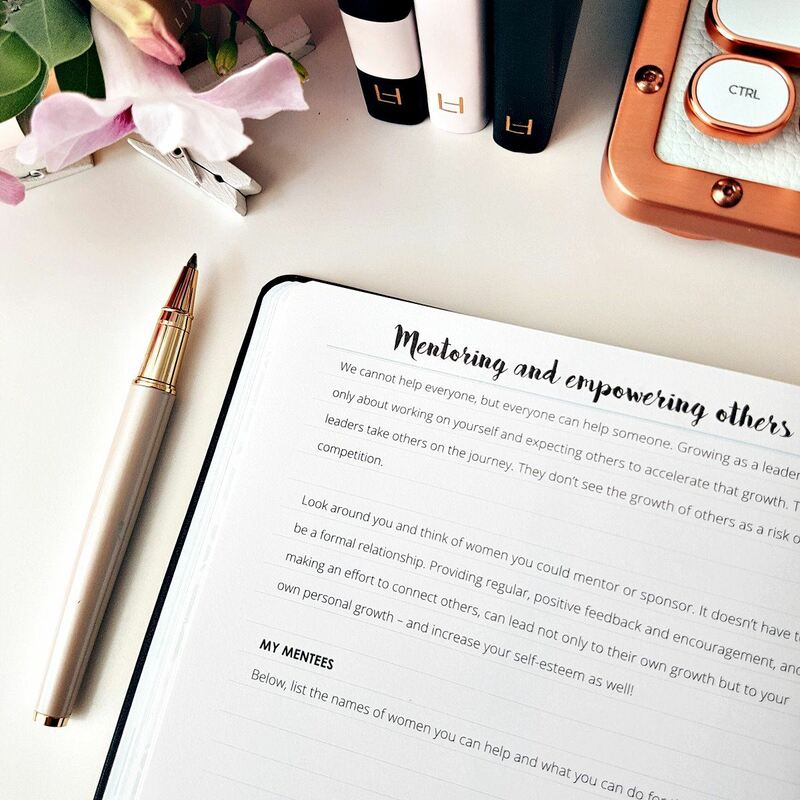 From the moment I sat down with my LIH products, I knew I landed on something special, because I’ve been looking for a way to put my thoughts on paper and couldn’t find the right recipe. I think I’ve finally found it! 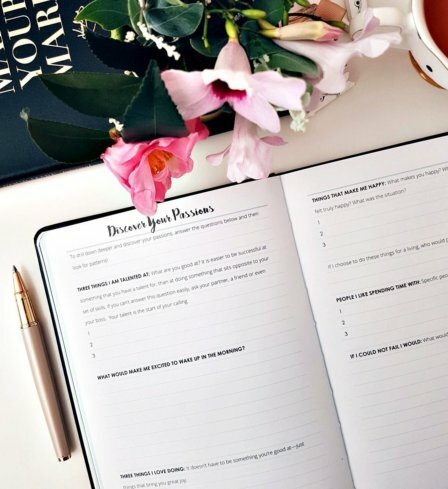 Thank you for a thoughtful self-coaching journal that has helped me change my thought perspective positively. 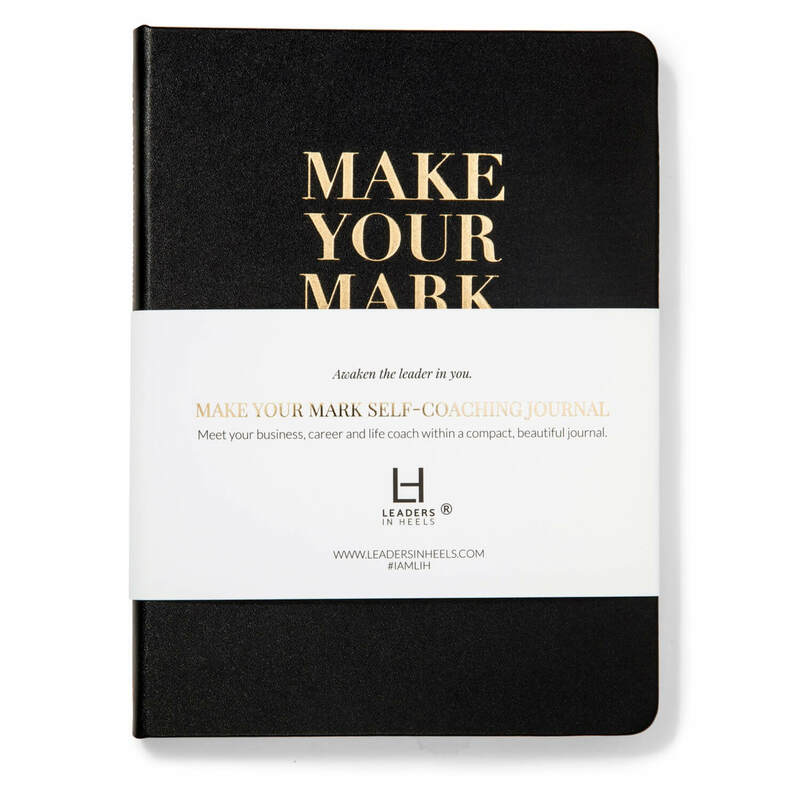 I’m obsessed with my Make Your Mark Self-Coaching Journal. It is exactly what I was looking for to become the best leader I can be. 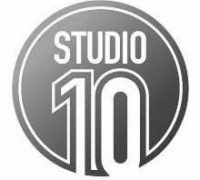 Great quality products. 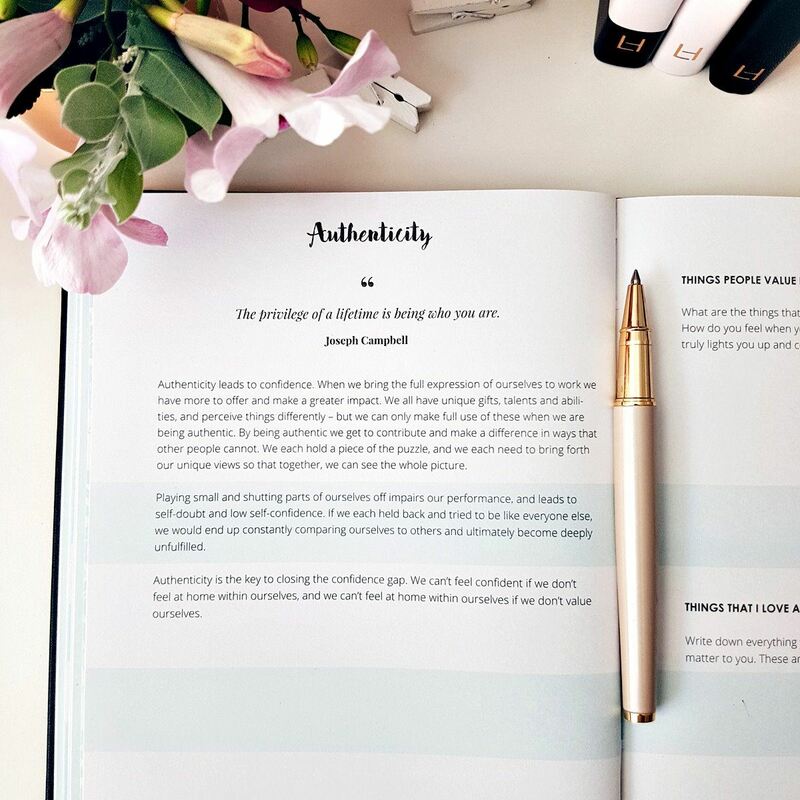 I love the journal which has helped me identify my strengths, to determine my goals and most importantly action them. Loved everything including the packaging they arrived in and the prompt delivery! 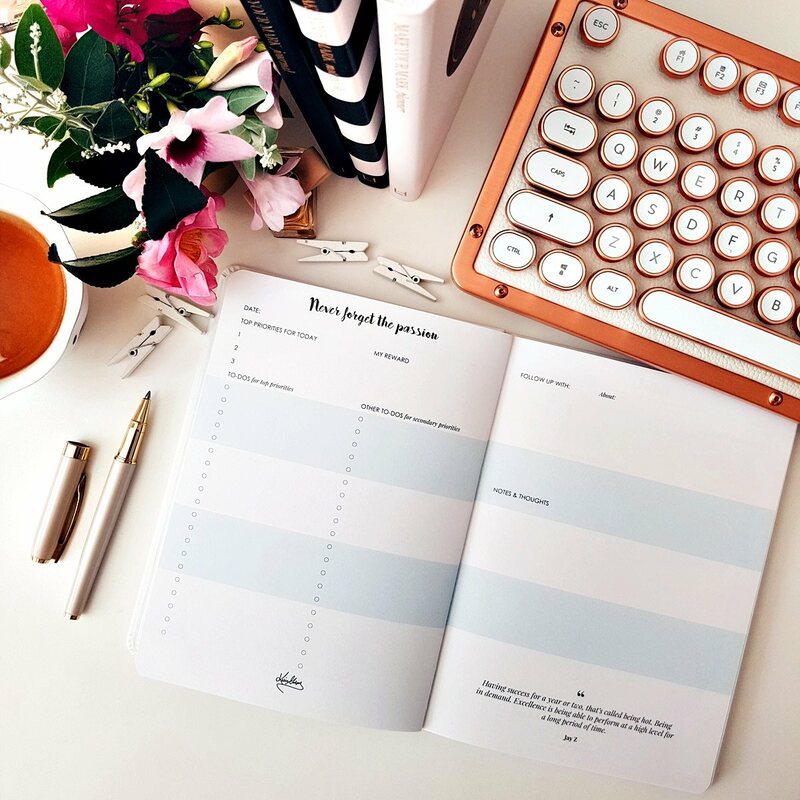 I am starting my business in June so I am waiting til then to write in them, however I have done the little tick quizzes at the front. 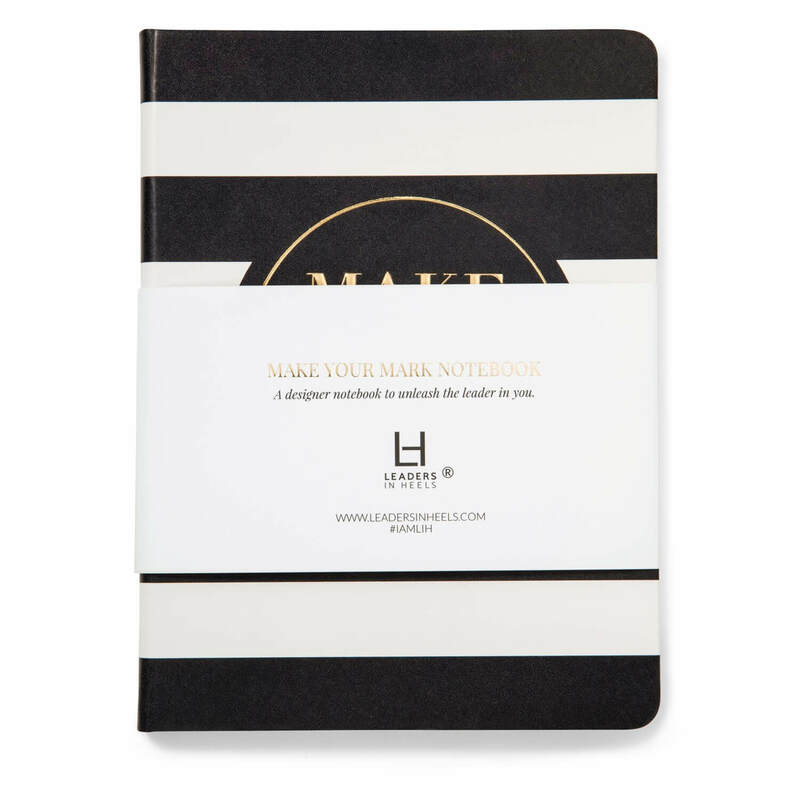 Upon receiving the Make It Happen planner and the Make Your Mark journal it was obvious that attention and care had been taken to produce a premium product. 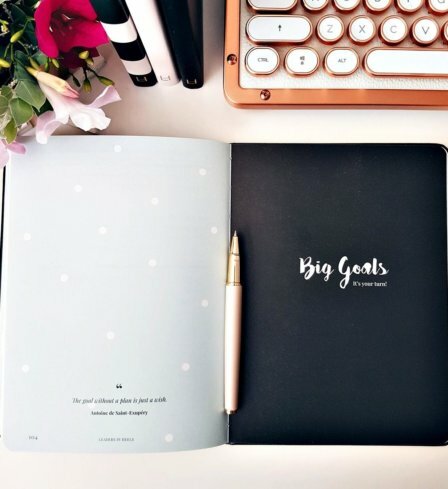 I use them every day to help me stay on track with my goals and appointments. I would highly recommend LIH to anyone who wants to make it happen this year! 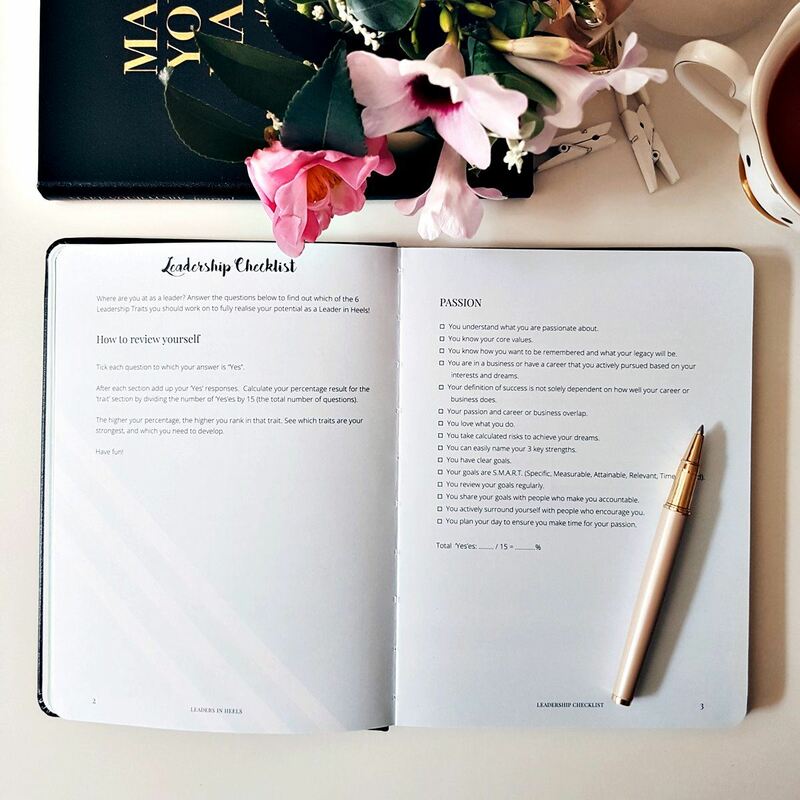 I simply love the quality of the journals – they have everything you need to be successful, proactive, efficient and goal focused! Thanks Leaders In Heels! 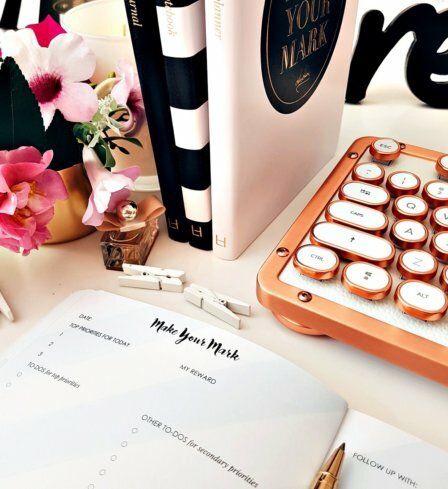 The “Make Your Mark” planner, journal and notebook set have made planning and organisation so much easier for day to day operations, plus a dedicated space and place to reflect on what I have achieve so far. The products are visually stunning but so clear and simple in their use! 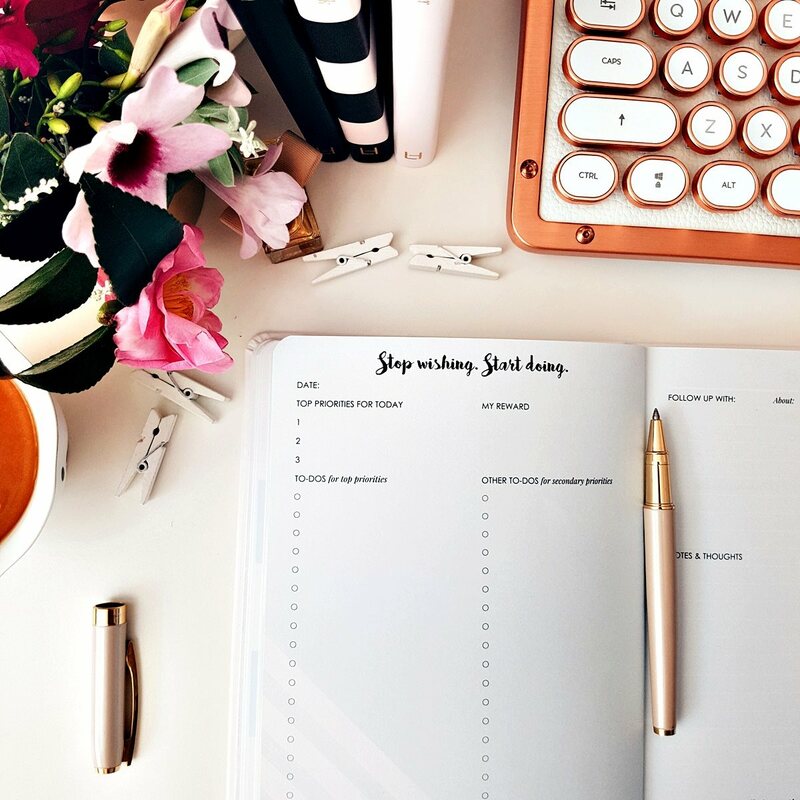 Love the layout – it helps to keep my busy and scattered feeling brain organised. 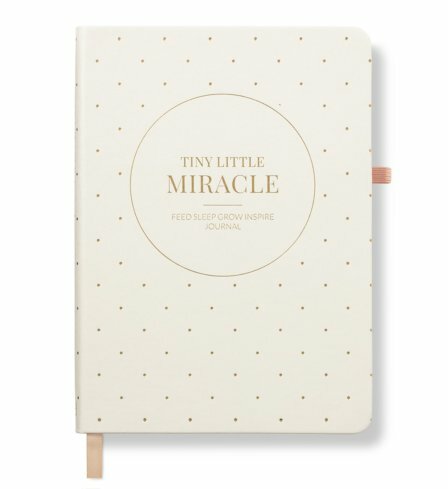 The only thing I wish the planner in particular had would be more pages. 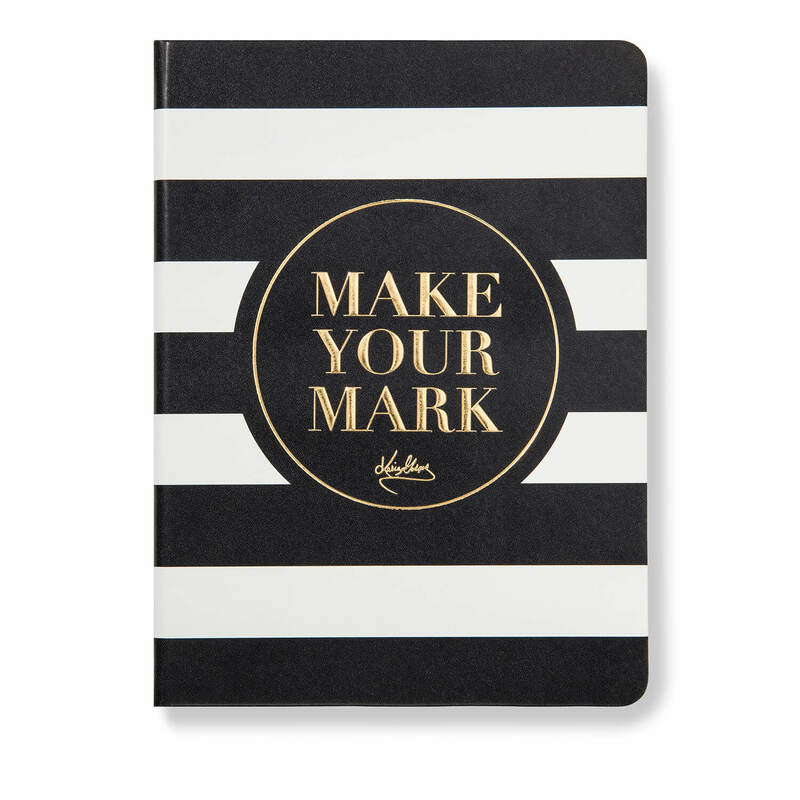 The „make your mark“ helped me a lot To determine my Passion. The content was better than expected.Thanks for that.